Los Angeles Kings and Vancouver Canucks to face-off on Sept. 21 and Sept. 23 in Shanghai and Beijing. BEIJING (March 30, 2017) – At the invitation of Bloomage International and as a piece of the National Hockey League’s long-term business strategy in China, the Los Angeles Kings and Vancouver Canucks will face off in the first-ever preseason games played in China as part of the 2017 NHL China Games™ presented by O.R.G. 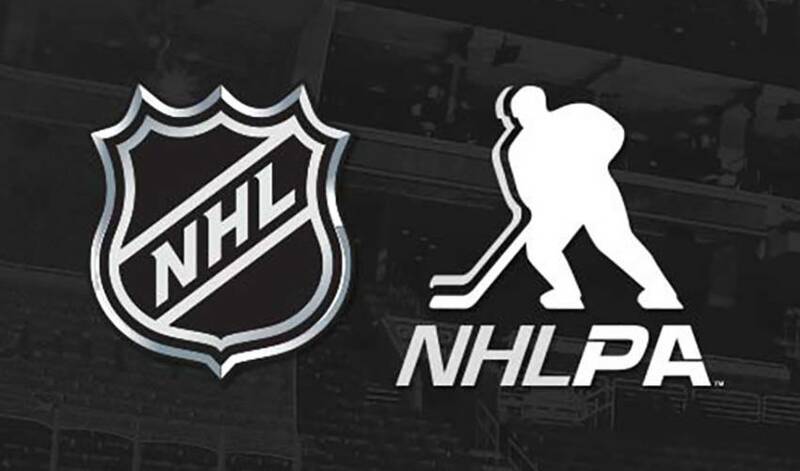 Packaging, the NHL®, the National Hockey League Players’ Association (NHLPA) and Bloomage International jointly announced today. The preseason games between the Kings and Canucks will be played on Sept. 21 at Mercedes-Benz Arena in Shanghai and on Sept. 23 at Huaxi LIVE Wukesong’s Le Sports Center in Beijing, where today’s announcement was made. In addition to the NHL and NHLPA, representatives from the Chinese Government, Los Angeles Kings, Vancouver Canucks, Bloomage International and O.R.G. Packaging were on hand for this historic announcement, which advances the NHL’s commitment to grow the game globally, while furthering the League’s international strategy. Bloomage International Group is a Chinese based, privately owned corporation that is devoted to expanding sports and promoting a healthy lifestyle across the country. China’s Head of State Xi Jinping visited Huaxi LIVE Wukesong, Bloomage’s flagship sports and entertainment facility, in late February on an inspection tour for the preparation of the hockey facilities for the 2022 Winter Olympics. China is seriously committed to promoting ice hockey and making it into a sport that the Chinese people will love and enjoy. The matchups in September will be the first preseason games conducted in China, but not the first trip for either the Canucks or Kings, who have each held youth hockey camps in China in recent years. In addition, several NHL clubs have conducted hockey camps for Chinese youth recently both in China and North America, including the Boston Bruins, Montreal Canadiens, New York Islanders, Toronto Maple Leafs and Washington Capitals. With a population of more than 1.3 billion, China is committed to hockey and expects to expand its participation in all winter sports to 300 million people by 2022. The NHL looks to work side by side with sports bureaus across China in developing grassroots hockey programs, supporting local youth hockey and hockey development at all levels. Within the multi-year partnership, Bloomage International also will play a vital role in helping to promote hockey culture across various regions of the country, supporting the League and its youth hockey initiatives. The League will look to develop programs to provide schools with training and instructional content to implement these impactful hockey programs that promote physical education, sportsmanship, teamwork and fitness through participation in hockey. “Partnership with the NHL will not only give O.R.G. the opportunity to introduce the world’s best hockey league to more young players in China, but also a platform for sports and culture exchanges between the two countries, which will in turn contribute to the Chinese ice hockey talent pool,” O.R.G. Packaging Chairman Zhou Yunjie said. Los Angeles will be designated the home team for the Sept. 21 preseason game at Mercedes-Benz Arena in Shanghai; Vancouver will be designated the home team for the game on Sept. 23 at Le Sports Center in Beijing. The Kings and Canucks will both be offering travel packages. Additional information will be published on each club’s website as it becomes available. More information on the 2017 NHL China Games™ presented by O.R.G. Packaging will be released at a later date, including ticketing and broadcast information.